Even at the Thomas Jefferson High School for Science and Technology, a top-ranked magnet school, senior Pooja Chandrashekar stands out among her brainiac peers. She’s got a 4.57 grade-point average, scored a 2390 (out of 2400) on the SAT, and aced all 13 of her Advanced Placement exams. But that not what makes her so special. What makes her great is that she also founded a national nonprofit organization that encourages middle-school girls to participate in science, technology, engineering and math (STEM) programs. And just as important, she has developed a mobile app that analyzes speech patterns and predicts with 96 percent accuracy if a person has Parkinson’s disease. Kiernan Goodwin and his associates are running The World Youth Organization -- an online platform where teenagers and young people can visit and find amazing opportunities in the fields they most enjoy. They include politics, environment, charity, volunteering, sport and more. Another aspect which makes WYO so unique is that most of our executive board and volunteers are all young people, because we believe a youth charity should be run by youths. 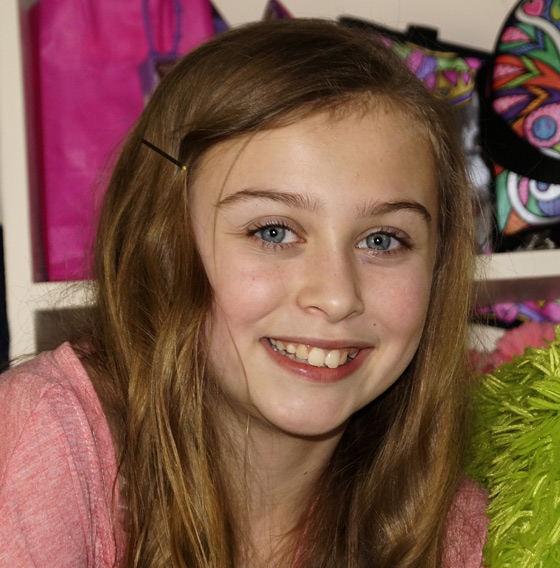 At age 14, Allyson Ahlstrom started a non-profit organization, and nearly six years later, Threads for Teens is a nationally-recognized organization doing incredible work. The organization's mission statement explains that it aims to inspire confidence in young women by providing underprivileged teen girls with the opportunity to pick out a new outfit or two from the back of the company's mobile boutique, which is run out of the back of a pink 18-wheeler. 15-year-old Trisha Prabhu of Naperville, Illinois, wanted to help young people make smarter decisions online—by preventing cyberbullying messages from ever being sent. She created ReThink, a browser extension that asks users to rethink potentially harmful messages before they post them. Trisha has spoken around the world about her invention, and hopes it will save lives. Another day, another crowdfunding platform. This one is a little different, however. StandApp is a crowdfunding platform designed to raise money for nonprofits specifically on mobile devices. It's also the only one founded by a 10-year-old. This 15 year old won the Scientific American Science in Action Prize. His goal was to help his wandering grandfather with Alzheimer's stay safe and give his care giving aunt some peace of mind. Great minds (of all ages) solving great problems is one of the best things about the internet imho. Nine days after unarmed Michael Brown was shot by a police officer, and after days of police aiming tear gas, rubber-coated bullets, pepper balls, and beanbag rounds at protesters, a group of young students from Georgia released one response to the problem of police abuse: A new app that that lets citizens rate any interaction with a cop. At 14, 15, and 16 years old, the siblings have been dabbling in computer science and coding for several years through school programs like MIT’s Scratch, CodeAcademy, and app development classes at nearby Georgia Tech and Emory University. To eliminate the gaps between sandbags that tend to let some water through, Peyton Robertson designed an interlocking fastener system that holds the bags in place as the polymer expands. The ingenious sandbag (and Peyton’s “commanding delivery, innovative thinking, and sound grasp of the scientific method”) won him first place in the prestigious Discovery Education 3M Young Scientist Challenge. He was the youngest winner in the contest’s history. 15-year-old Eagle Scout Eagle Scout Kenneth Shinozuka has invented a device that could revolutionize care for the more than 5 million Americans living with Alzheimer’s. The New York City teen’s grandfather is living with the disease, and Kenneth noticed his grandpa would often wander out of bed at night, sometimes injuring himself. This inspired Kenneth to invent a small sensor an Alzheimer’s patient wears on his or her foot. Around the world, many of the 783 million people who don't have clean drinking water also don't have access to electricity. A new design from a 17-year-old Australian high school student, Cynthia Sin Nga Lam, aims to solve both problems at once: While the device purifies wastewater, it uses pollutants in the water to boost power production in a separate compartment. 18-year-old Juliette West is a long-time advocate for elephant rights, founder of JulietteSpeaks, and star of the 2012 documentary How I Became an Elephant. 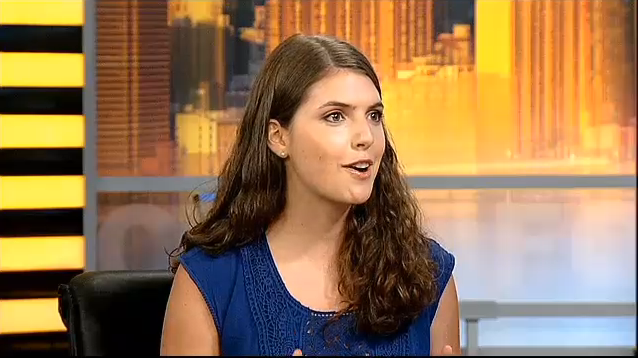 Carly Wertheim from Teens Turning Green talks to Ernie Anastos about the group's efforts to make an impact. Ten-year-old Vivienne Harr is working with 79-year-old Olga Murray to end child slavery in Nepal. She launched her campaign nearly two years ago in response to tragic images she’d seen depicting children in slavery. Claire Reid of Johannesburg, South Africa has made her contribution to a green and sustainable environment with her "Gardening Reel" invention she conceived of when she was 16. Andrew Mupuya is the founder of Uganda's first registered paper bag company. Youth Entrepreneurial Link Investments (YELI) is supplying restaurants, supermarkets and medical centers in Kampala.